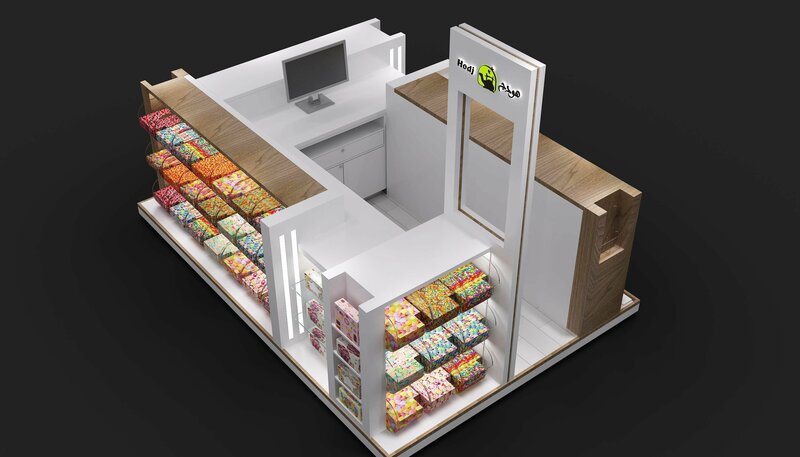 One of the most profitable business thread in 2019 is to open a candy stall in mall . 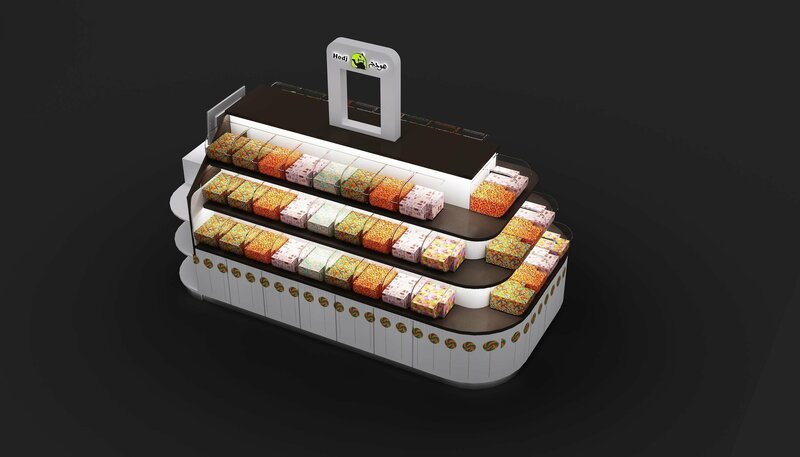 With a standard round or square shapes retail kiosk , You can start your candy empire from a small candy cart to big candy store. However , To succeed in a candy retail business. Only effort is far not enough. With smart design ideas. 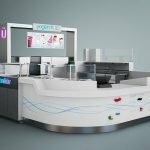 You can create a unique and functional display kiosk. A kiosk design somehow affect your customer volume and finally hit your business. So , spend more time in coming up a find design ideas will be great help in future business. Here blow is a mall used candy kiosk in a square shape. find your best kiosk in mall for sale. 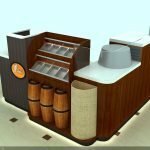 Why kiosk design need vendors give ideas ? Should that be the designers job? Yes, you are right . Design the kiosk is designers work. However candy kiosk vendors are the right people who know the kiosk. Because workers using function and customer shopping experience are so important in managing a business. Especially in service industry like sweet candy. In most of the candy kiosk design or candy cart design. The shape is the not the first requirement. How to display the candy box , Vendors usually have already decided in mind. The space that designer can dance is the outlook and display concept. 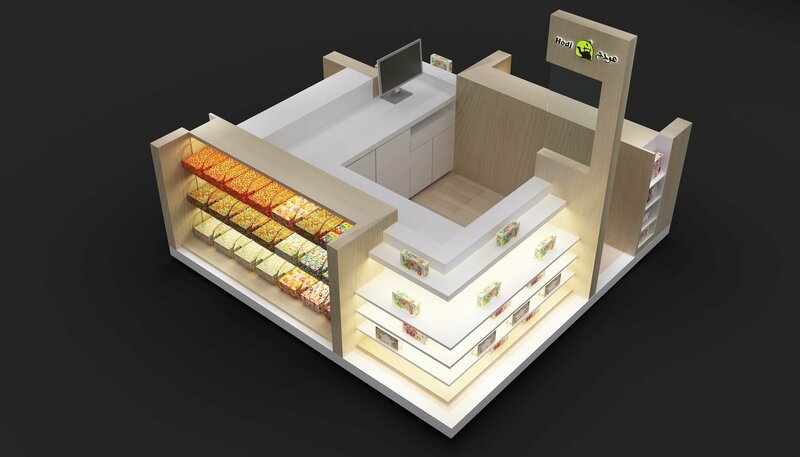 A good kiosk design must have the ability to attract customers’ eye contact . especially children. 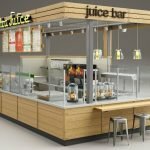 Kiosk design & manufacturing a professional job. Not two workers in a mill can finish. Great quality must stand on experience and high level materials. if you want to opening a mall candy shop . if you are a starter with no mall kiosk experience. Here is the right place for you to go. 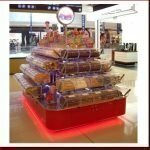 Unique Kiosk is a expert kiosk manufacturer on sweet candy retail display. No matter you are operating several candy carts or candy kiosks. A well designed drawing are always necessary. Contact our team and get your latest kiosk design with best price.